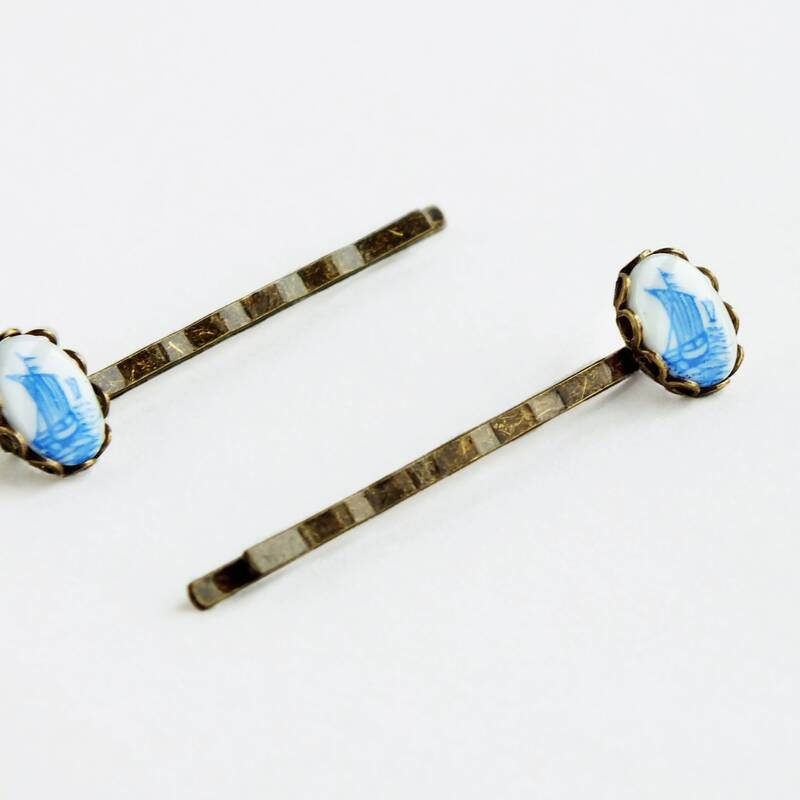 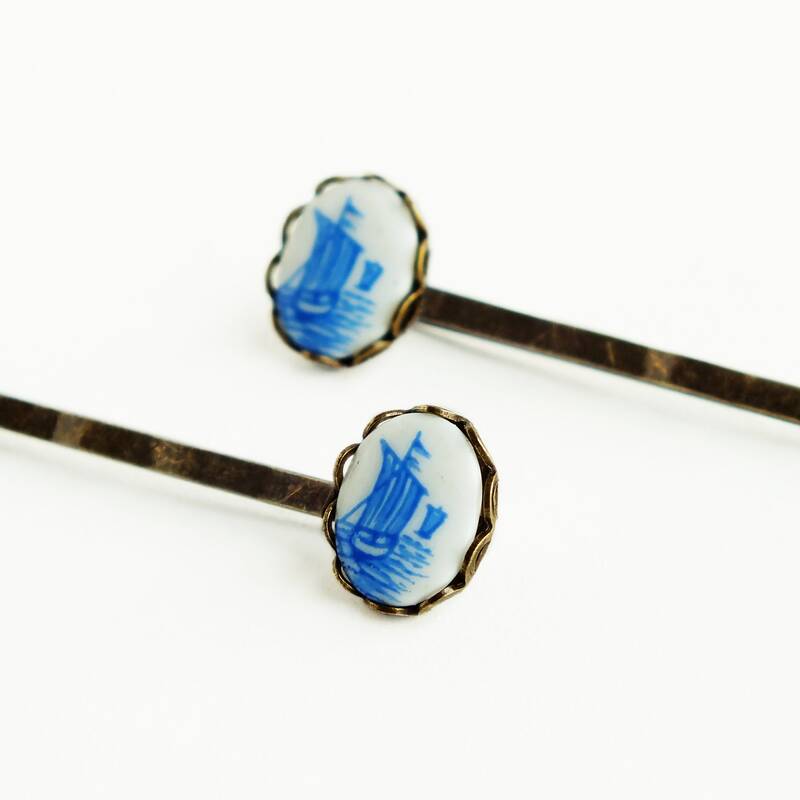 Small handmade sailboat hair pins with vintage blue and white glass cabochons. 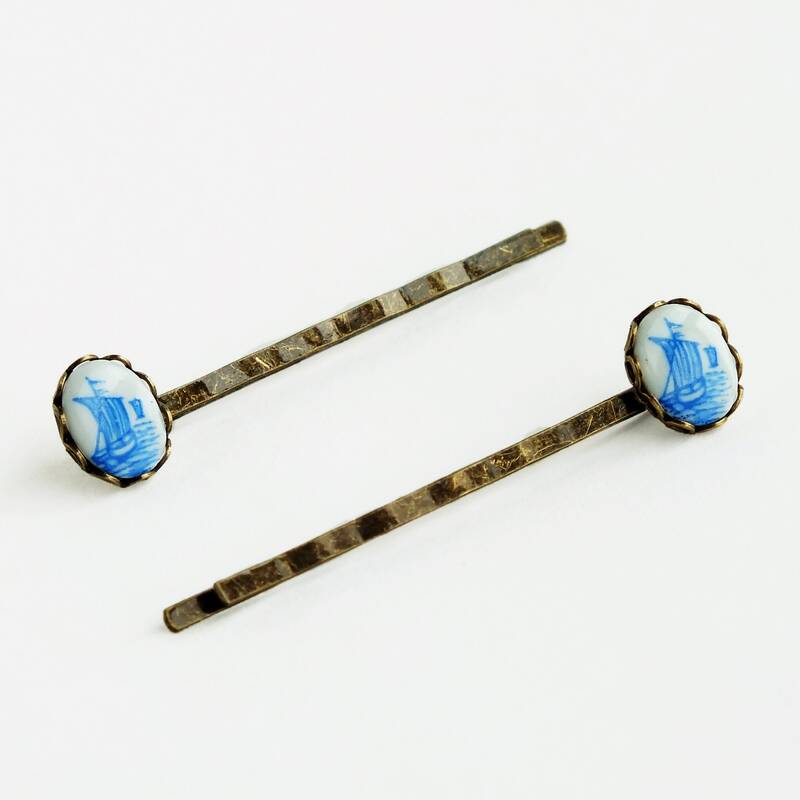 Imported nickel free antique brass hair pins. 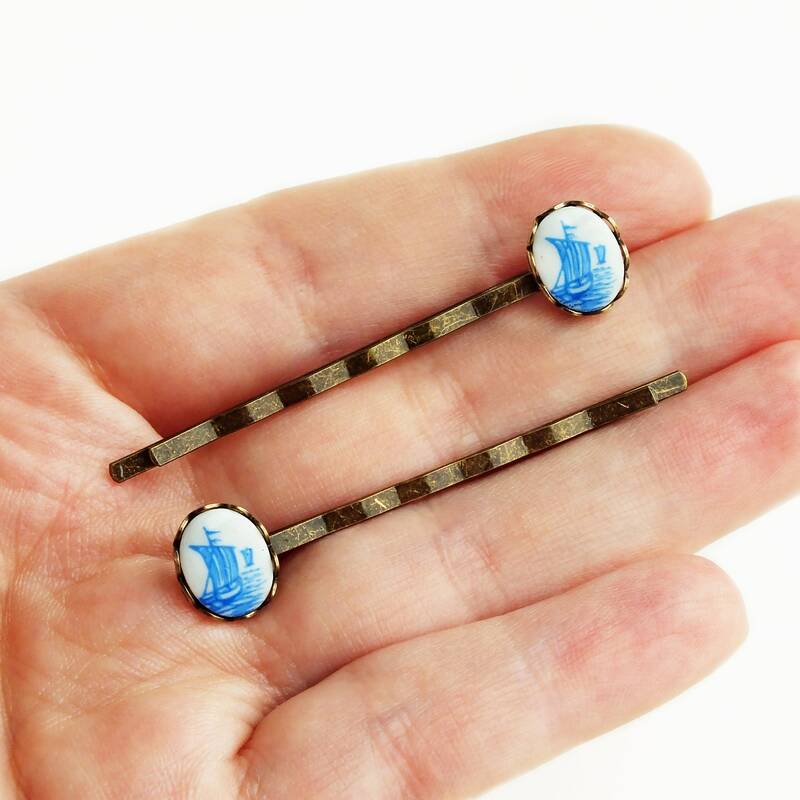 Made with beautiful blue glass nautical limoges with tiny blue sail boats. 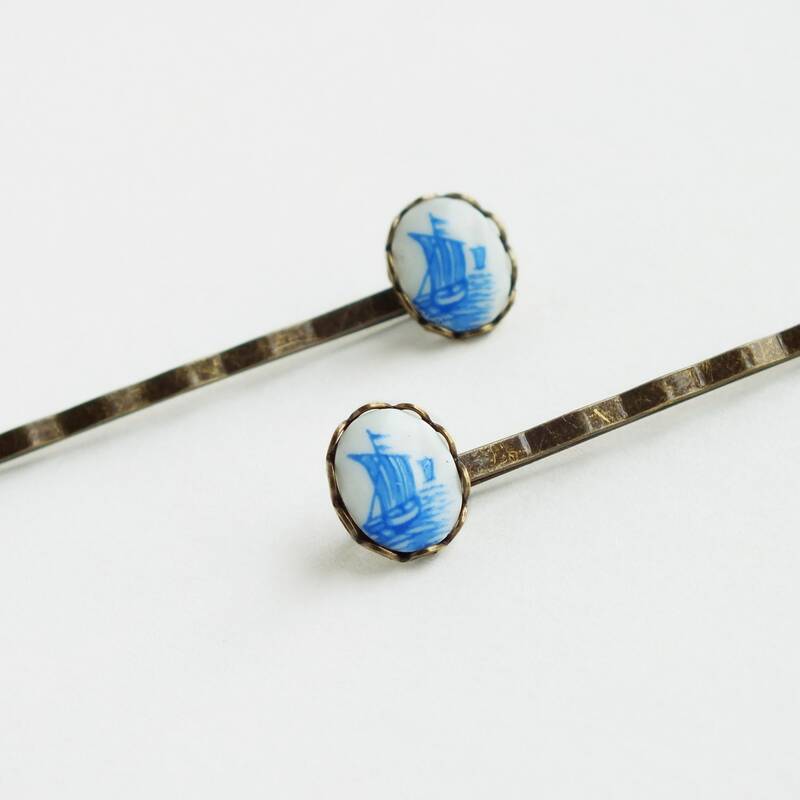 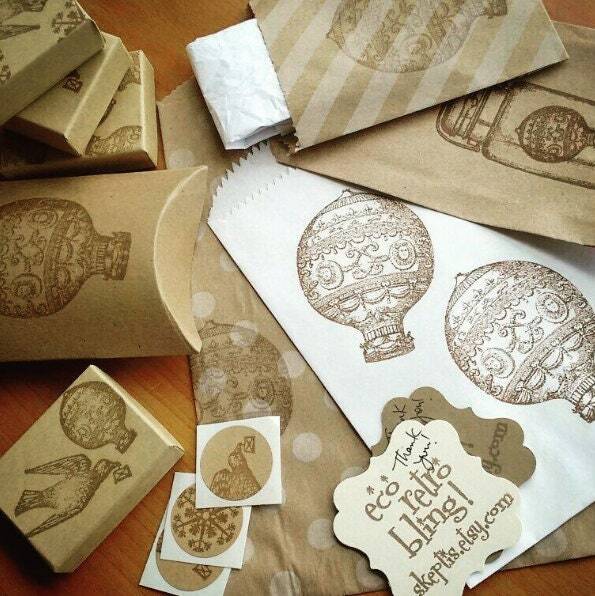 Set in antiqued brass lace-edged settings and secured to antiqued brass bobby pins.